With so much to think about, who has time to manage every facet of an investment property? At Maxwell Property Management – we do! Our property management and consulting services provide guidance that will help you transition a property from owner occupied to rental-ready. When it comes time to set rent amounts, we’ll complete a local market analysis and do a full inspection of your property. These two activities are enough to give us a solid number to work with. Fill out the form to request a free consultation, or download the information package below. We rented an apartment they managed for 3 years and they were always very responsive. Really good property management company. We rented an apartment they managed for 3 years and they were always very responsive. Made updates throughout our lease including replacing all the windows in the apartment. Get a free rental analysis of your property’s rental market value or if you are interested in selling, we can help you understand your selling market value. We are a full-service licensed real estate broker and we also handle purchase and sale of real property. 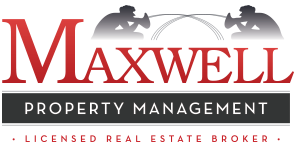 Property Management Website Design and Development by Mannix Marketing, Inc.